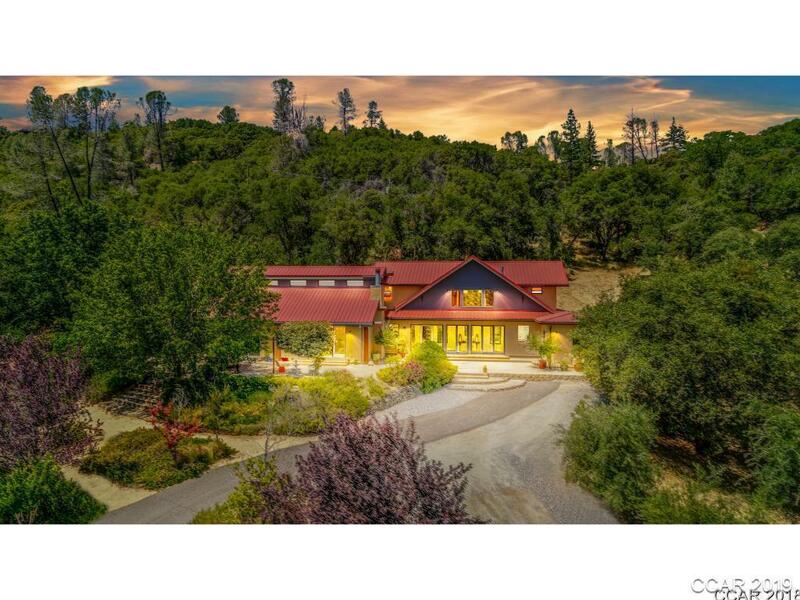 One of a kind estate in the beautiful wine town of Murphys! On 42 private acres with a tranquil salt water pool, lovely landscaping and a separate guest house/man cave! Main house is 4,610 square feet with a huge great room, wood floors, main house boasts of four master suites, media room, wine tasting room, stone patio and a walk in closet to die for! Wonderful guest house that is great for all your guests. The guest house is 1260 square feet and has a kitchen, bedroom, 1.5 baths, and a living room that is currently being used as a game room. Brand new shop/garage that is 2400 square feet that can hold an RV plus 4 or more cars, lots of cabinets and even a TV to enjoy while hanging in this awesome space. This is the amazing retreat you have been dreaming of!!!! Directions: Hwy 4 To Penn Gulch, At The Y Stay To The Left On Penn Gulch, Approx. 3 Miles Up Take A Right On Peppermint, Follow Directional Signs To 301 Peppermint.